Choose how to set the axis range. Show in header: Enable to show range values in the track header. Flip range: Switch the minimum and maximum values. 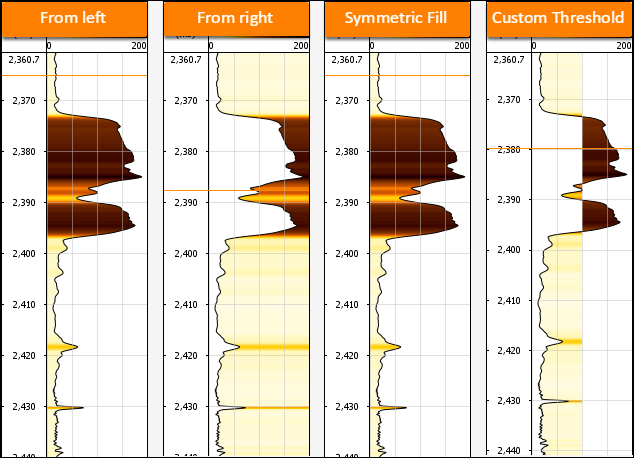 In Line/Fill, you can adjust the colour and thickness of the curve line. Line: Draw curves as lines; do not fill. Filled (default): Draw curves as lines and fill using the settings. 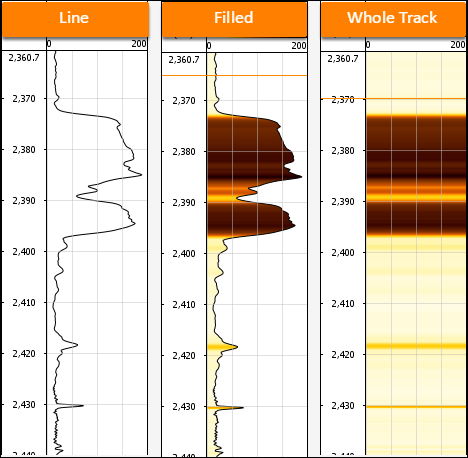 Whole Track: Fill the full track width, values are represented by colour. Solid colour: use a single colour. 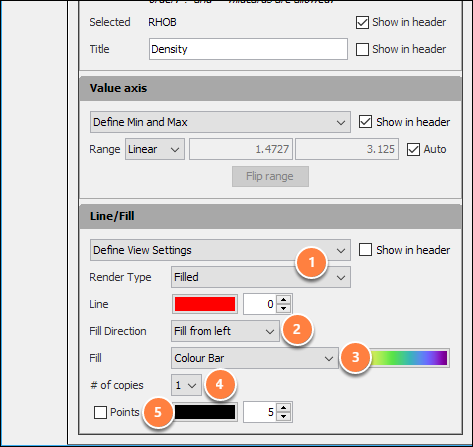 Above/Below: fill the curve with one colour above and another colour below the threshold value. 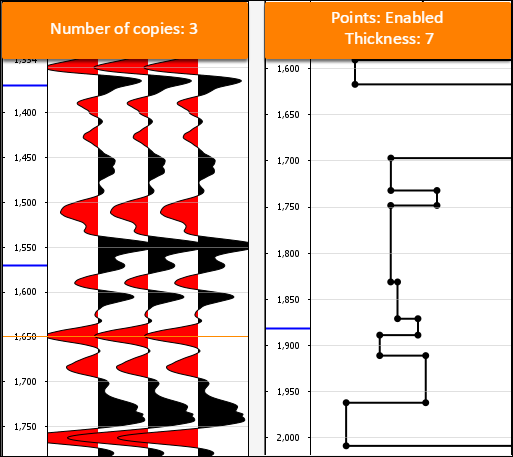 # of copies: Display repeated copies of a curve, side-by-side. 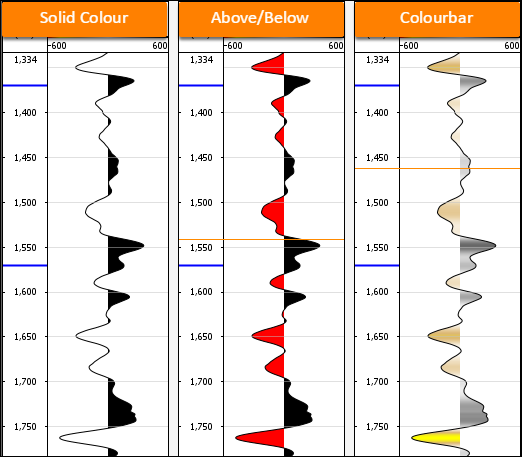 Points: Enable to display points at the curve values and choose the colour and size for display.